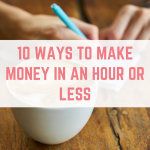 Whether your lunch break is 30 minutes or an hour, you can easily utilise this time to make some extra cash. 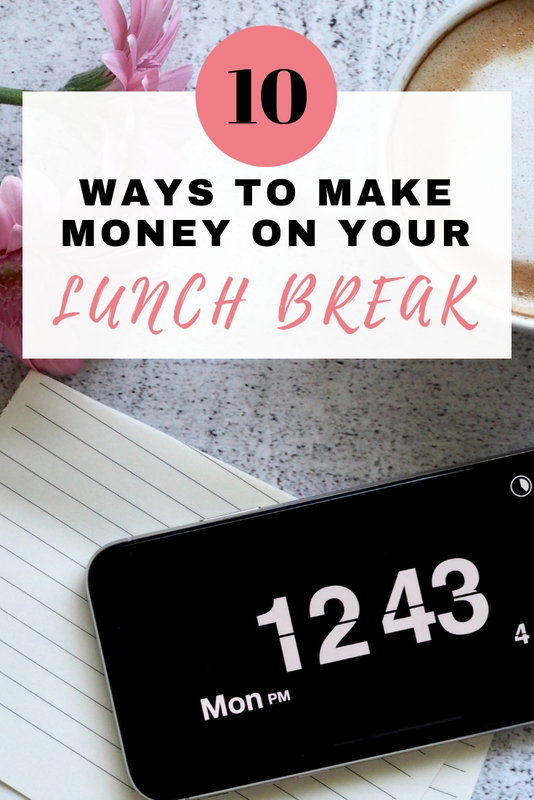 Whether you want to get away from your desk and do some mystery shopping or stay at your desk and answer surveys, there are a whole host of things you can do in your lunch break to earn some extra cash. 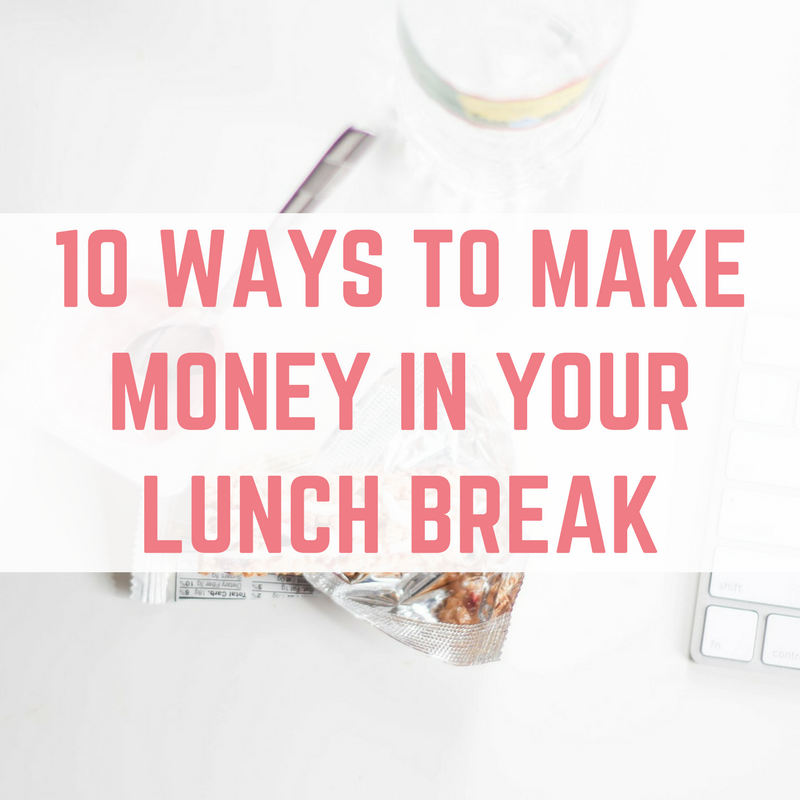 Here are 10 ways to make money in your lunch break. Being paid to shop is my dream come true, and mystery shopping has provided me with not only brilliant freebies, but also great experiences. You can get your lunch for free, earn cash for making a phone call or try on new clothes and earn some serious cash. I have written a guide to getting started with mystery shopping including an easy £50 mystery shop. You should be able to complete 1-3 surveys during your lunch break, earning you anything from £1+. You can redeem this as cash or gift vouchers for supermarkets, high street stores and even Amazon. Click here to see my top 10 survey websites. Paid To Click (PTC) websites allow users to earn cash for completing surveys, short tasks, starting trials, downloading apps and much more. Some of my favourite PTC sites include Instagc, where you can redeem as soon as you've earned just £1, ClixSense which has hundreds of ways for you to earn and Swagbucks, where you can easily make £15 worth of Amazon vouchers per month during your lunch break. There are smart phone apps for everything, including making some extra money. You can earn cash or gift cards by downloading and testing apps, completing short location based mystery shopping jobs or answering surveys in the comfort of your own home. Download my book, 50 iPhone Apps To Earn Cash for more. WhatUsersDo and uTest both pay handsomely for testing websites. WhatUsersDo just want to know your thoughts – speak them out loud as you load a website. uTest are looking for you to report bugs and more. WhatUsersDo pay £5 per test and they take just 20 minutes to complete. You've got to be in it to win it, and entering competitions can be hobby to take up. Expect to enter a lot before you win, but keep at it. I've won cereal, a £3,000 holiday, a week in Cornwall and so much more. Read my tips for entering and winning competitions, including where to find free competitions to enter. Can you write comments on 10 different blogs? Create a logo? Move someone's website from Blogger to WordPress? Whatever your skills, there are people out there who are willing to pay you in exchange for something of high quality. You can start off selling your “gigs” on Fiverr. 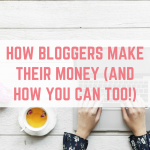 You won't get rich overnight, but starting a blog (especially a niche blog) could lead to plenty of earning opportunities for you in the long run. You can advertise Amazon items for an affiliate program, make money from display adverts, be sent products to review or even be paid to write about a specific subject. Check out 5 steps to earning money from blogging. Whilst this isn't directly making extra cash, doing some errands such as your online grocery shop (don't forget your Quidco, Cashbackshopper or Topcashback cashback) will free up more of your evening and weekend time. 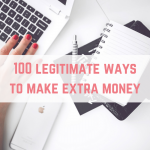 You can these use this time to completing a money making task that takes a bit longer – such as uploading items to eBay or doing a car boot sale. Honestly, I am so pleased with this site. I have now made £13.50 from signing up on Saturday. I am guessing the surveys will start drying up soon but if I make £20 a month from it, I will be happy! Fantastic! Are you waiting to reach £20 to withdraw?